COPrevent: As More People Use E-Cigarettes, Do They Help or Harm? As More People Use E-Cigarettes, Do They Help or Harm? 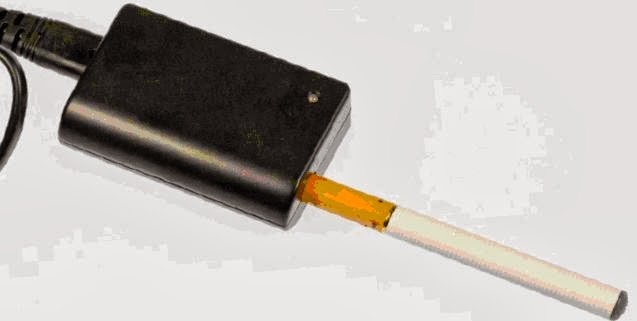 Battery-operated e-cigarettes look like regular cigarettes, and smoking them means inhaling vapors that are usually flavored and can contain nicotine, but don't always. Regulating them is still a work in progress: Cigarette advertisements aren't allowed on television, but ads for e-cigarettes are allowed. Colorado Attorney General John Suthers and 40 other attorneys general want to change that. They say the Food and Drug Administration should regulate e-cigarettes just as it does other tobacco products. Within a month, the FDA is expected to decide if and how to regulate e-cigarettes. Ryan Warner speaks with Dr. Bill Burman, director of Denver Public Health, who has concerns about the safety of the devices. Also joining us is Craig Weiss, the CEO of NJOY Electronic Cigarettes based in Scottsdale, Arizona. Weiss says e-cigarettes are a healthier alternative to traditional cigarettes. To listen to the podcast, go to Colorado Matters. To learn more about e-cigarettes, contact Stephanie Walton.